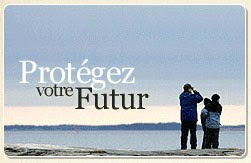 One of the good example of Live insurance with a good qualification can be seen in French. Here, Live insurance is not only paying the premium statically, but every payment could be regarded as financial saving 7 investments in capital form, as they can grow (interest) all they are in effect, in direct accordance with the amount paid. Nowadays, we can always find the simulation for premium calculation comparatively (comparative assurance vie) from several insurance company, which greatly help us to make a right chice. Others good ways to classify the good insurance company is by looking at its complete products range which usually consists of Live Insurance for early adult (under 30 years old consumer), expatriate live insurance, live insurance without medical check up, etc. The completeness of the products range usually show that the company is experienced enough in live insurance business. Other live insurances added value is the ones which also including the funeral cost of clients when passed away (convention obsequies). This greatly give security and comfort for us and family specially as in many countries, funeral cost has escalated in the recent years. The good live insurance products will not only provide us with the claim plus interest, but will also help us to prepare for the every step of funeral such as : funeral procession, prepare and provide coffin, and the choice of funeral spots. This kind of products usually is the goods one as it will provide us with good preparation in life as well as in the after.